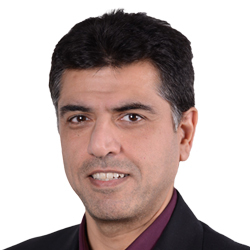 BiographyAs a Director in the EMEA Centre of Excellence at SAP leading the partnership with Esri in Spatial Analytics and Business Insights, Paramjeet has over 25 years of industry experience as a customer in data management solutions. The last 10 years have been focused around Innovation solutions and Digital Transformation at SAP, helping our customers achieve their ambitions to become Intelligent Enterprises. AbstractHow do you provide location-based business intelligence when required by the business when the data is of questionable quality, dispersed across many internal and external data sources, and in many different formats By creating a partnership between the leaders in business software, SAP, and the leaders in Geospatial Analytics, Esri. Unlike legacy data management solutions that struggle to handle the volume, variety, and veracity of today's data, SAP's Next Generation Data Management Suite was designed and built from the ground up for the digital era. Built as a pre-integrated modular framework it combines the processing power of in-memory computing with the latest technologies such as AI, IOT, Blockchain, and Machine Learning. Business are able to combine their business and spatial data within a single platform for faster and simpler business insights, with the ability to enrich these data sets with social, sensor, satellite, drone, video, and any other data sources simply and efficiently. Combined with Esri powered location-based analytics businesses are discovering insights they have previously never been able to imagine, and GIS professionals are becoming far more efficient with performance improvements of up to 4,000x.